Seeking 2019 Garden Volunteers! Looking for a great way to give back to your community? 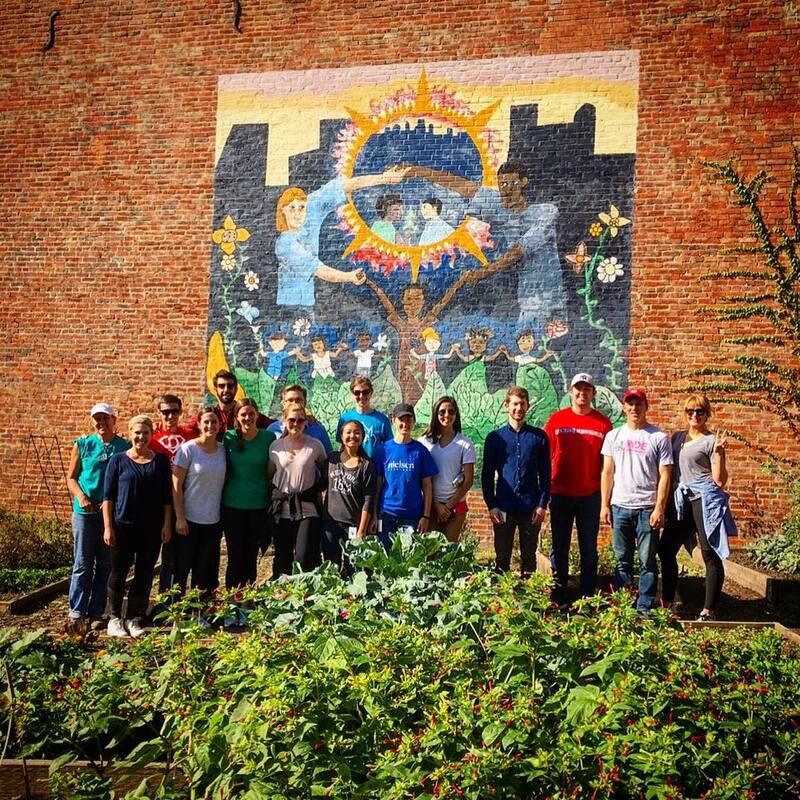 Volunteer in Over-the-Rhine People's Garden. Every bit of help is appreciated, whether its once a month or twice a week! Volunteers hours can be shaped around your schedule. To arrange an upcoming volunteer date, schedule a garden tour, or to set up a private garden class in OTR People's Garden or Sunrock Farm please inquire via email. Peace! The 2019 Greater Cincinnati Earth Day Celebration will be held at Summit Park, 4335 Glendale-Milford Road, Blue Ash, Ohio 45242, on April 27, 2019 from Noon until 5 pm. I will be there (booth #67) selling fresh Flower Crowns and answering questions regarding gardening. Come out and enjoy Earth Day with me! Christina Matthews, then admission’s leader for Paul Mitchell the School Cincinnati, along with a neighborhood school teacher- OTR resident, teacher and horticulturist, Allison Burns, successfully procured a $12,500 grant from Grow Appalachia to help rejuvenate the urban community garden. Book written by The Civic Garden Center of Greater Cincinnati. The OTR People's Garden was one of three gardens featured on the Civic Garden Center's 32nd annual community gardens tour. Flowers on Tap at Taft's ! Be sure to check out the hostess stand next time you stop into Taft's Ale House in OTR. The Flower Lady creates weekly flower arrangements for this popular brewery. The OTR People's Garden received the urban bounty award from The Civic Garden Center of Greater Cincinnati for its focus on the health of the individual, the community and the environment.